Genji M - More to love the second time around! 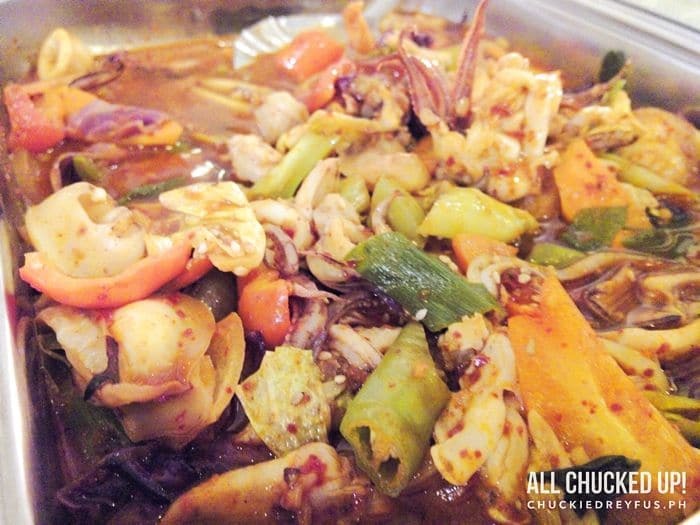 You are Here >> Home >> Featured >> Genji M – More to love the second time around! 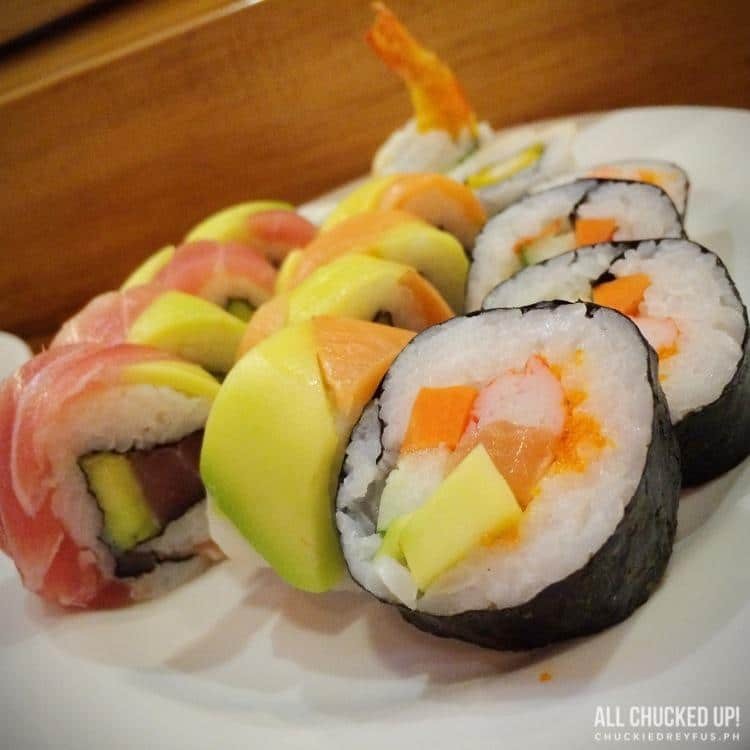 A variety of rolls and maki. They even have new dishes like this Crazy Maki which is absolutely delicious. 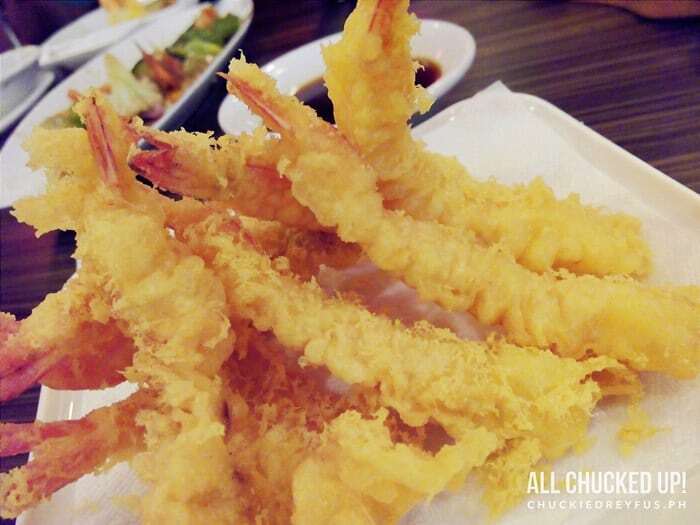 Genji M also has great tasting tempura. The kind that isn’t soggy and limp. I enjoyed this a whole lot. 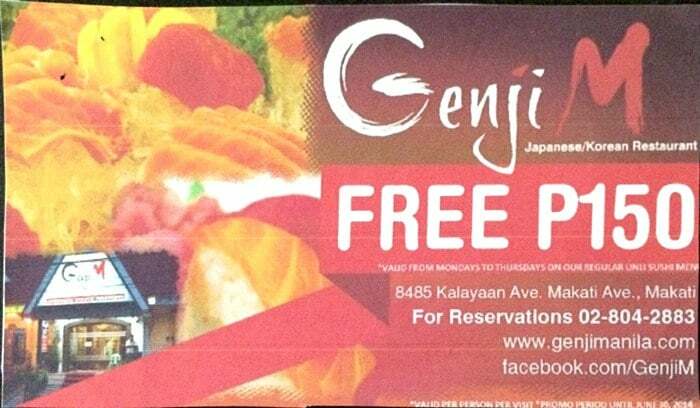 Just like my first visit, it is always a thrill to make the most of Genji M’s unlimited promo. What’s better than good food? More good food, of course! 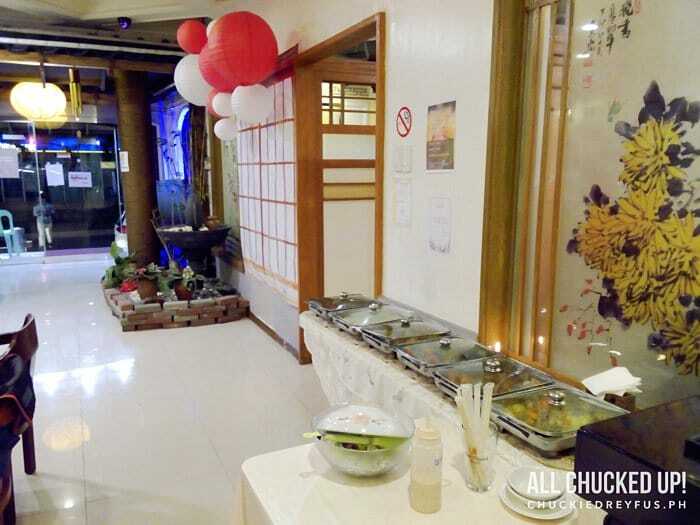 Genji M has now added a good buffet selection of Korean dishes which is FREE for customers availing of their unlimited sushi, maki and rolls promo. Yes, you heard me right… free! 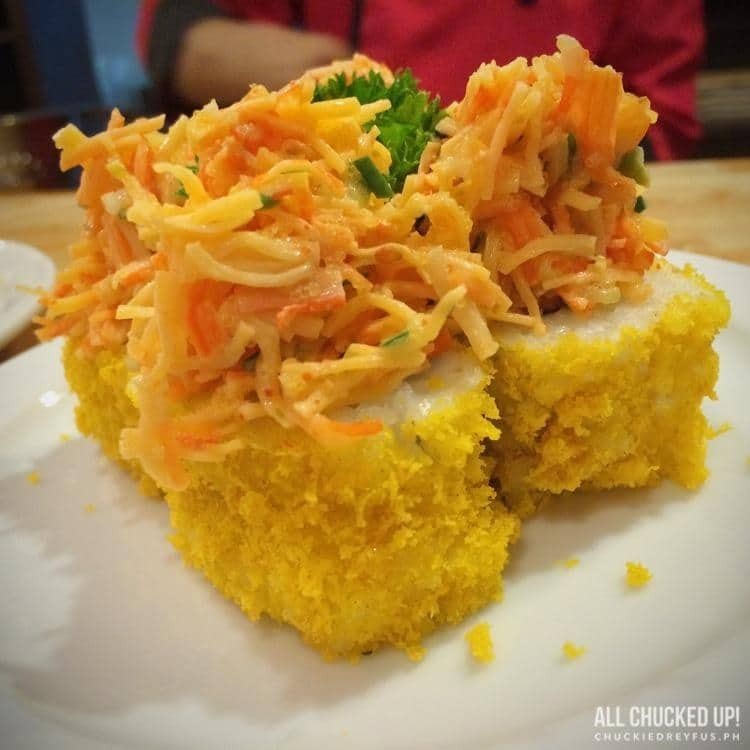 The idea behind this is that, when you order your delicious maki and sushi items, you can head over to the Korean buffet area to grab a bite while waiting for your next order to arrive. It’s a pretty cool concept actually. Salad with Roasted Sesame Dressing. 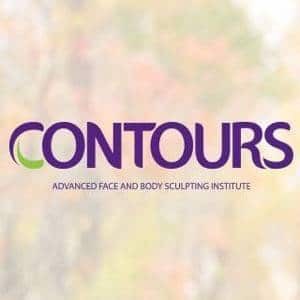 This promo is perfect for people on the go. Don’t have a lot of time to hang around? 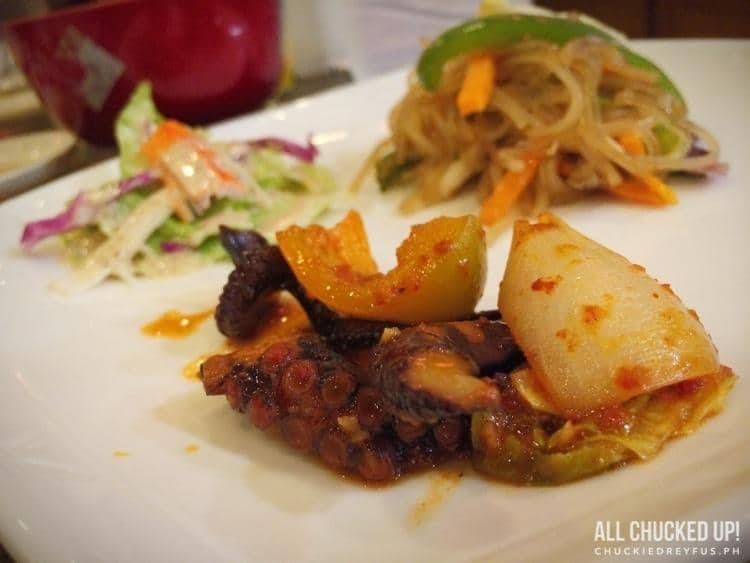 Dropping by for a quick bite during your lunch break? Great! 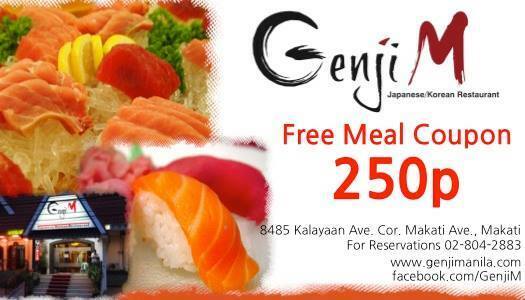 Genji M’s READY SET GO LUNCH Promo is perfect for you. Upon visiting Genji M, tell the friendly staff how long you plan to stay for lunch based on the duration bracketing scheme below and you need only pay the corresponding amount for that particular time window. 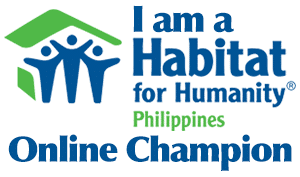 *An additional of Php50.00/person for every 10 minute extension. It doesn’t matter how much you eat or how many rounds you make on the Korean buffet spread so long as you keep it all within your selected duration. This scheme also ensures other guests who are on the waiting list that they will be able to get seats much faster. 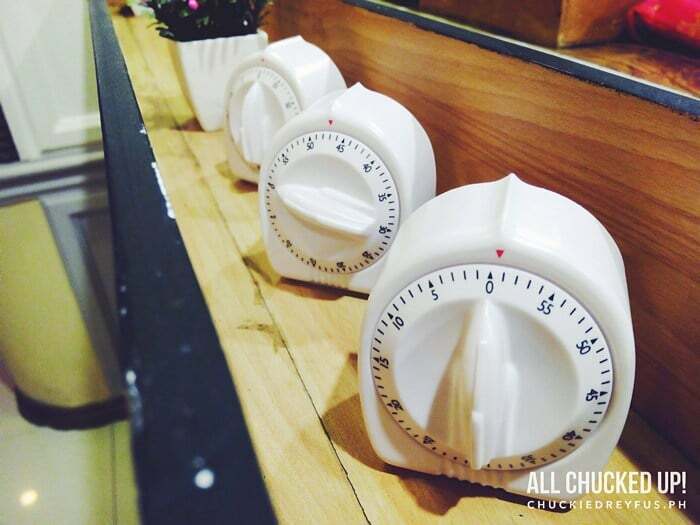 Wondering how you can keep track of time while dining? A countdown timer is placed on your table which begins the moment you are seated. Pretty neat idea, eh? Not too keen on lunch and would rather have a relaxing dinner instead? No problem. 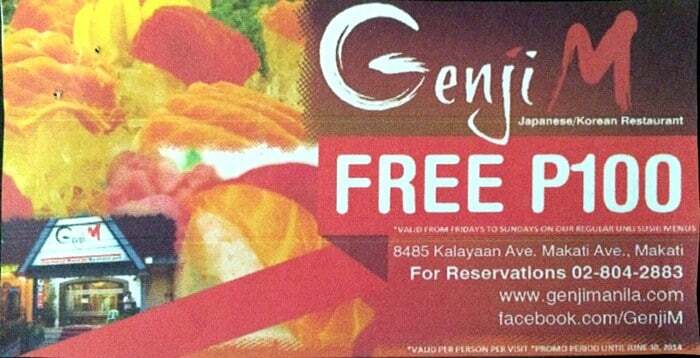 Genji M has a an awesome promo for you as well. It’s called the LEAN HOUR DINNER. This promo happens every Friday, Saturday and Sunday. Pretty straightforward, right? 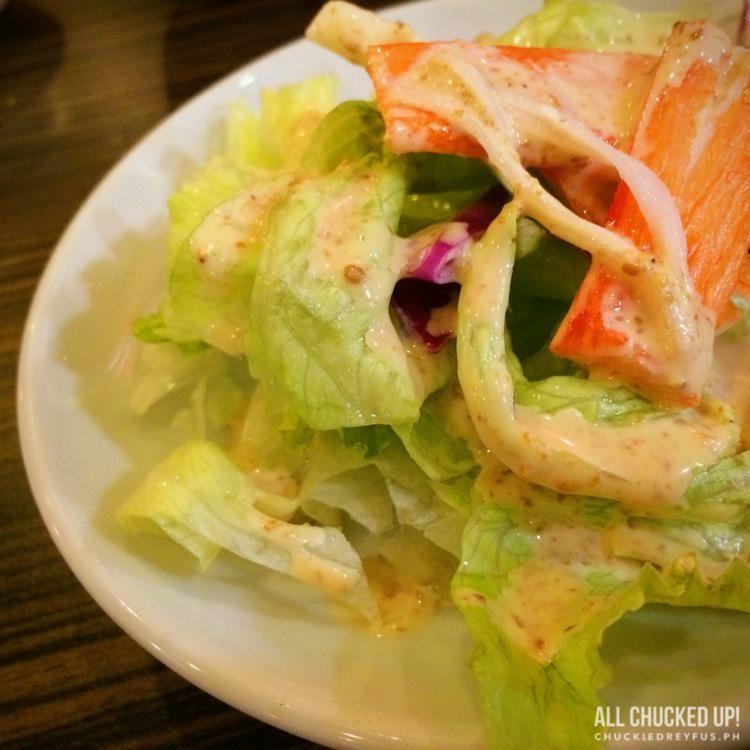 Basically, you get great discounts when dining during off-peak hours. I remember that during Genji M’s sudden boom, quite a number of you were complaining of bad service since food was served slow. Bad service is actually very different from slow service. 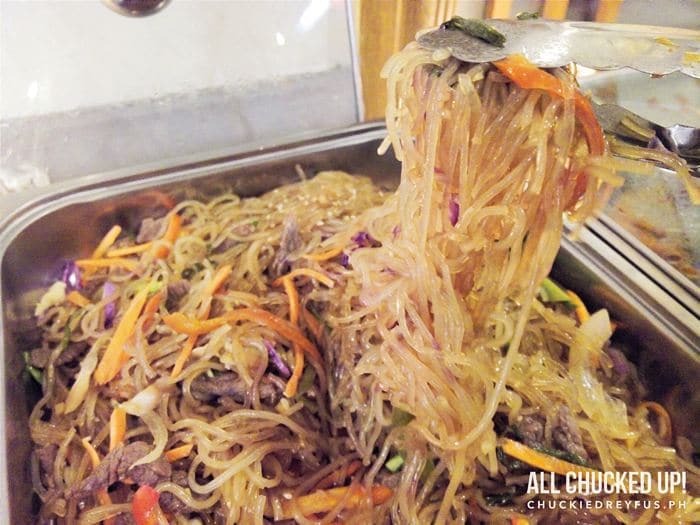 One of the main reasons why sometimes it takes quite a while for your orders to get to you is because dishes are always served fresh. 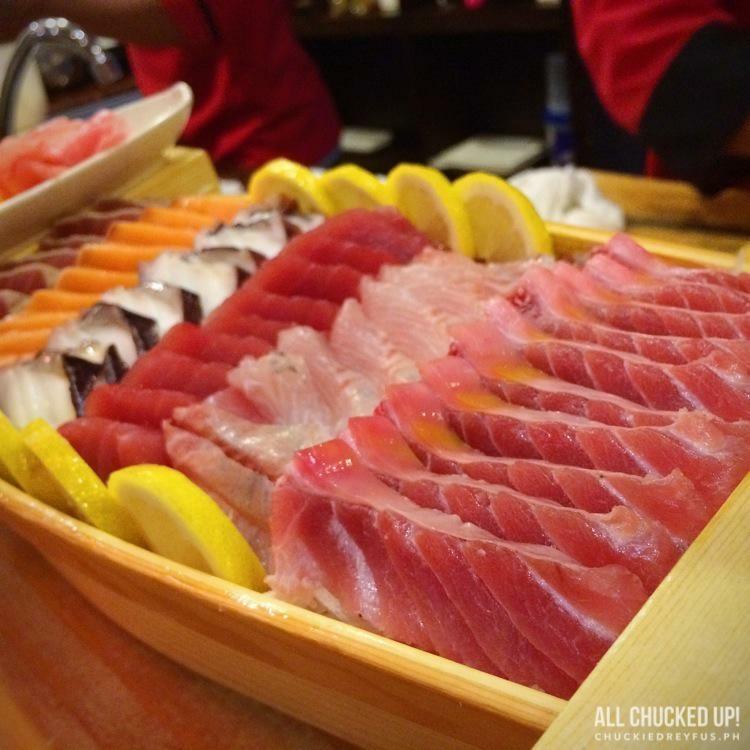 The good folks at Genji M only begin to make your dishes the moment you place an order. Hey, you know what else is new? Genji M delivers! I mean, of course they deliver on their promise of providing top quality affordable food… but what I meant was Genji M really DELIVERS. Literally! Yup. They now do delivery service for their ala carte dishes by way of 212121. Hooray! Now, anyone can kick back and relax and have delicious Genji M goodness delivered straight to their homes or anywhere they want. 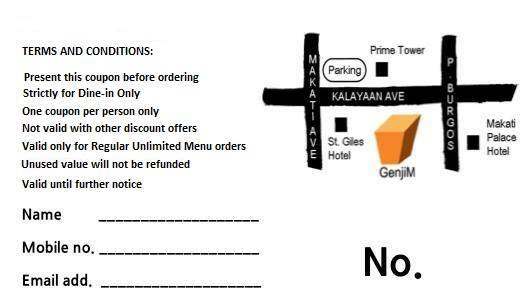 Don’t forget to grab a delivery menu when you drop by Genji M.
Excited already? Well… let’s make it even more exciting! Great news, guys! 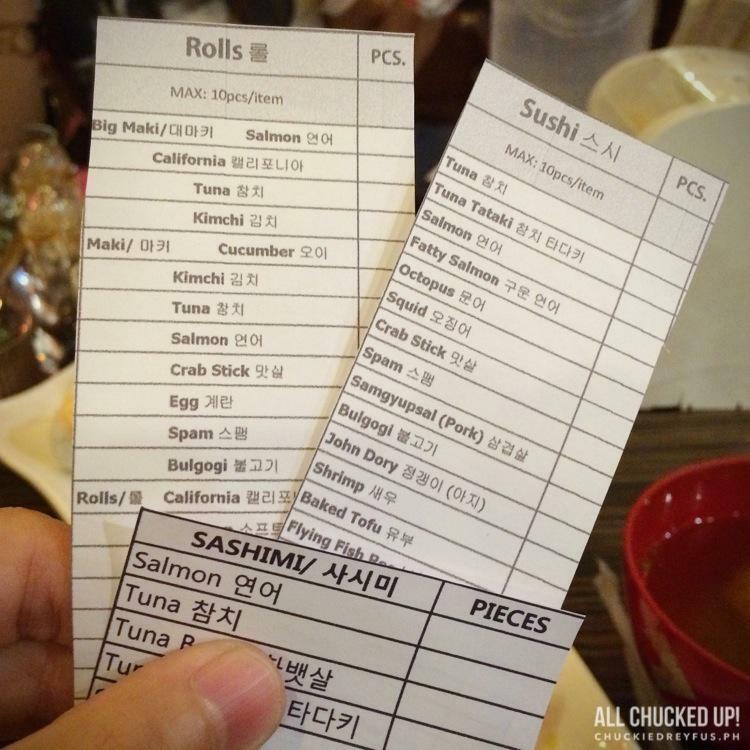 I am including three (3) different kinds of coupons below which you can easily print out and use during your visit to Genji M.
Keep in mind… coupons can ONLY be used for unlimited orders and cash payments. 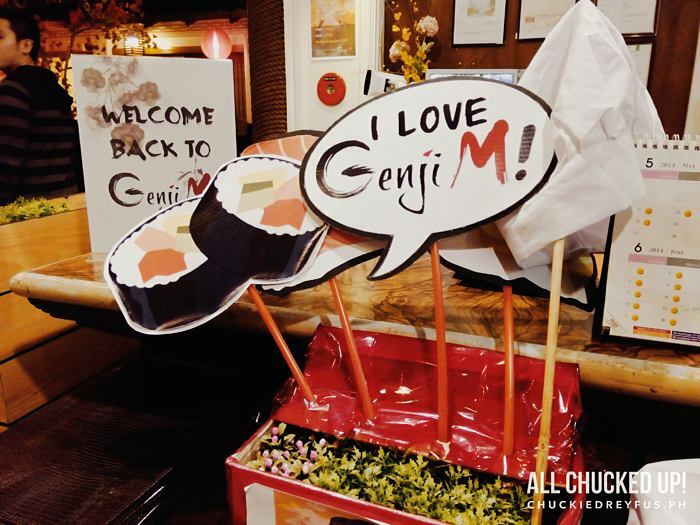 I had some fun with Chef Ruel (Genji M’s head chef) and their amazing staff during my recent visit. 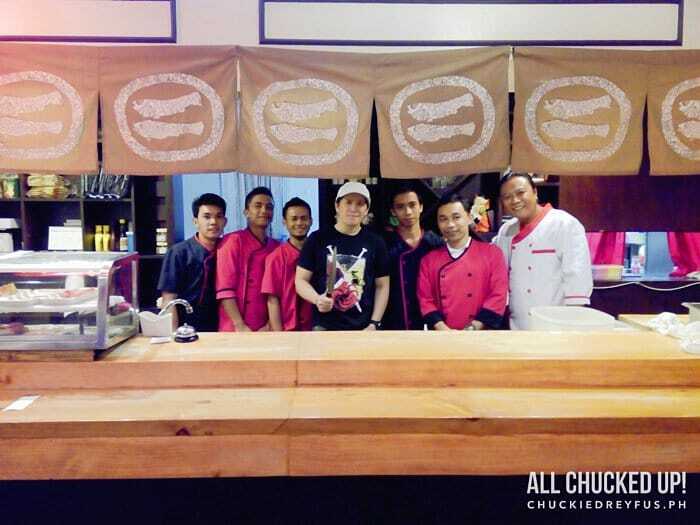 I even posed for a quick photo with them behind the sushi bar while sharing a few laughs. Don’t forget to say hi to Chef Ruel when you drop by. He’s one very cool dude who loves to tell jokes and keep guests entertained. One thing I admire about the cool guys at Genji M is that they always try to find ways to improve their service in order keep customers happy. 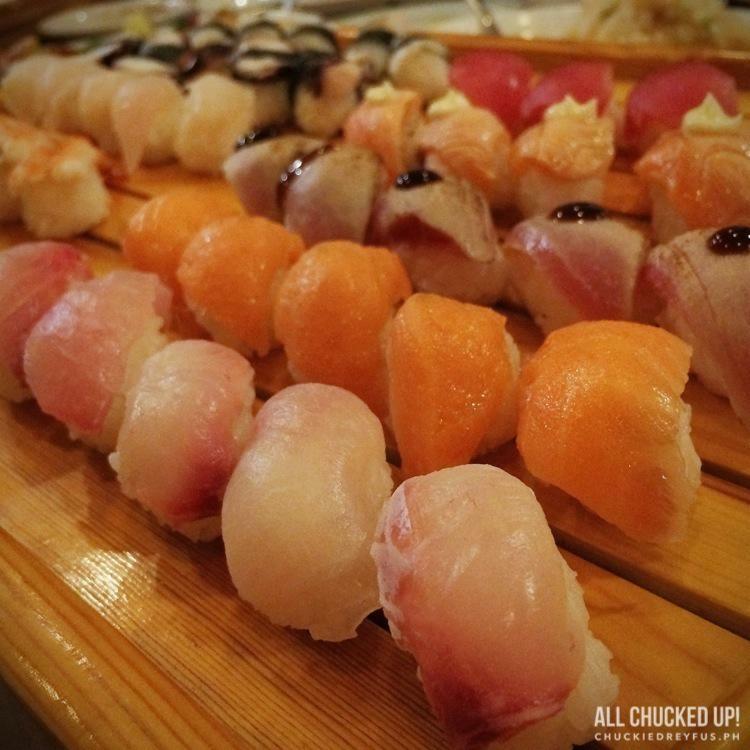 While other establishments are content they way they are, Genji M believes there is always room for improvement. No wonder these guys are enjoying the enormous success that they’re having now. Good job, Genji M! Until my next visit…!